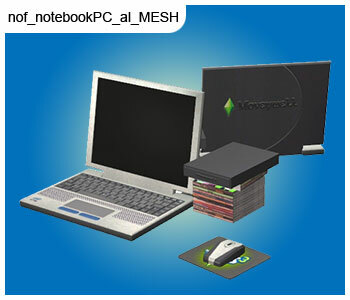 Description: In this day and age of our 21 century, Sims are in constant need of internet connectivity on their laptops to their game consoles to their wrist watches. 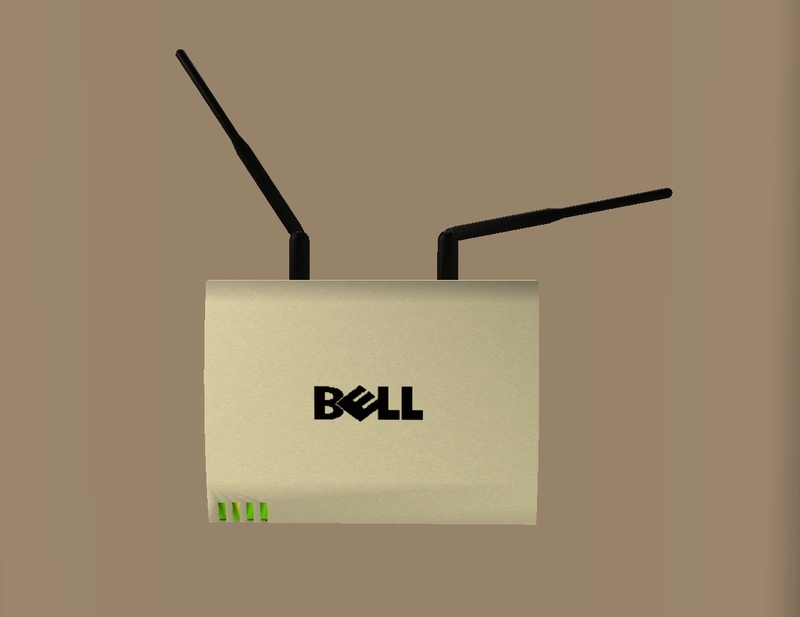 Prevent yourself from being left behind, get connected to the latest and greatest with the BELL Y2K Router! This model specifically mounts to your wall and won't take valuable wall space from your telephones or pictures of the neanderthal you would be without this router. As a special gift the router will also function as a fire detector. But don't worry! 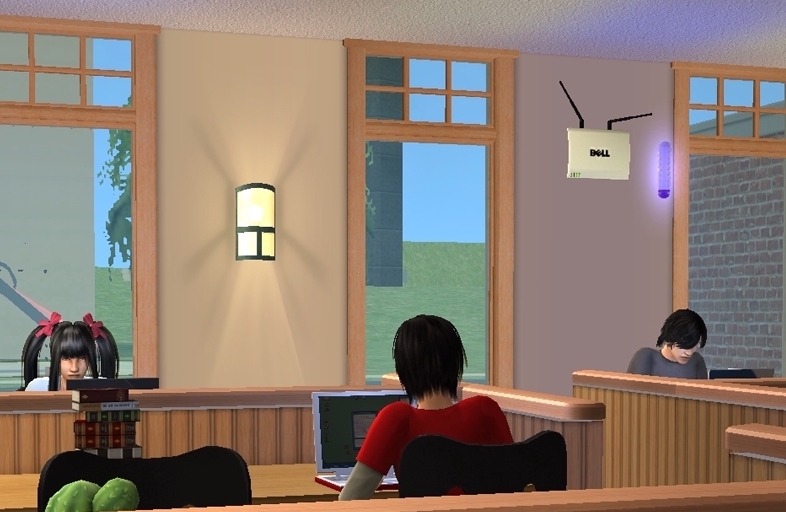 In the event of a blackout, the battery powers the router, so you can stay connected even if your desktop won't turn on for whatever reason. 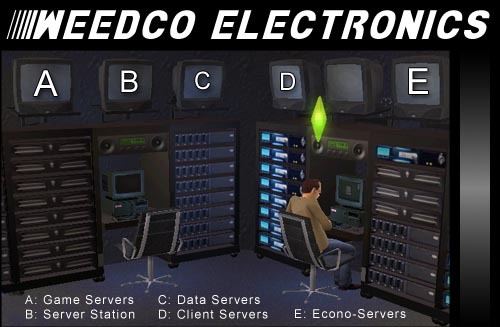 It came to my attention that no Sims games shows cords, be it power cables or network cables. I have figured that electronics are powered by a Tesla Coil that has been put into use as a power plant as Nikola Telsa imagined and worked for (AKA wireless energy). As for the network cables, I came up with a wireless router (the cables are in the wall). As far as I know, it has no real-world model that it was designed after. My model turned into something like a radar dish. The router is actually a fire alarm (it was that or a security alarm). 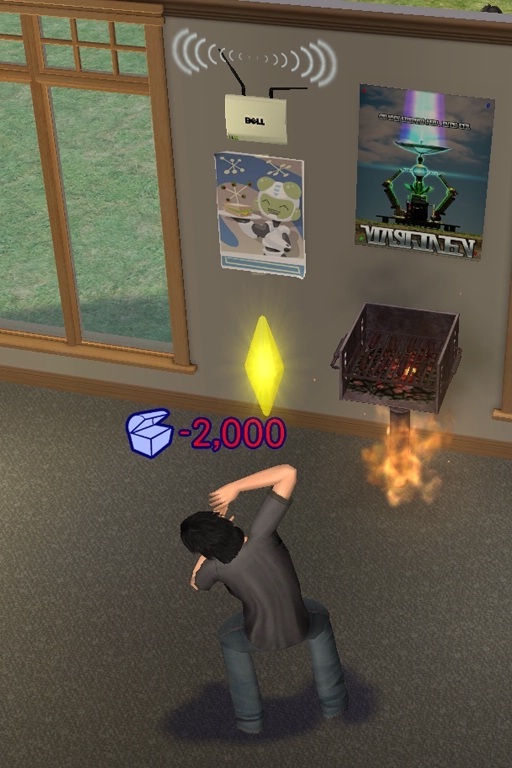 Since, I often failed to place this crucial objects, I decided to make it a fire alarm. 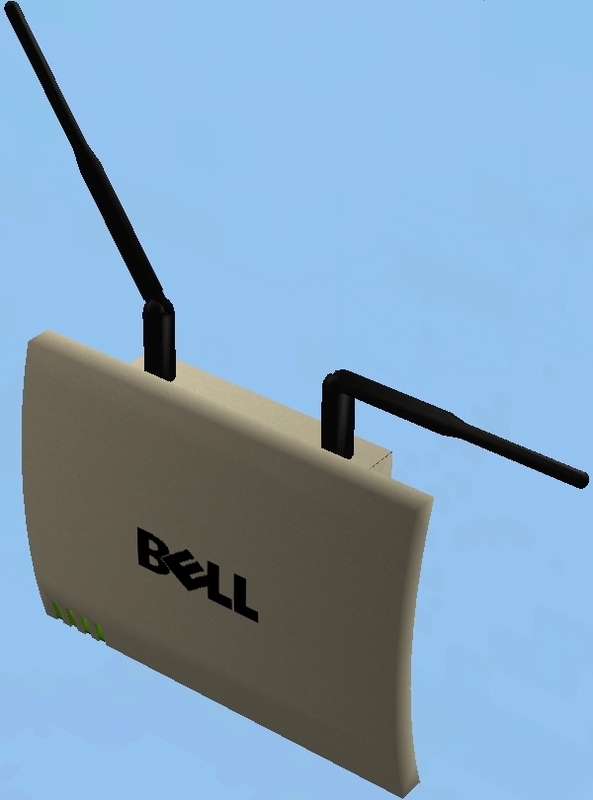 Why "BELL Y2K"? You may have already noted its similarity to DELL, but maybe not the subtle reference to Belkin, a manufacture of routers and other network devices. Y2K is its model name and seemed to match the theme of computers and internet connectivity. 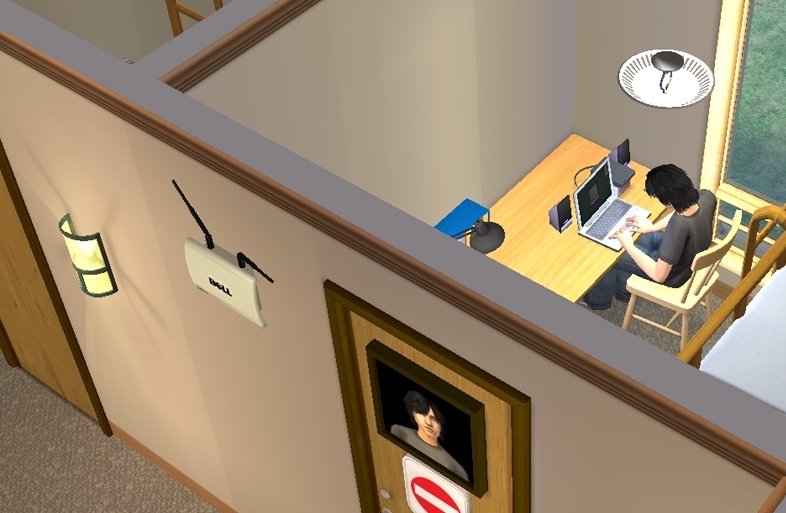 The router is great for dorms, hotels, apartments, home offices, offices, businesses, and public areas (pretty much wherever a laptop can be taken, which is...well...everywhere.